Can you imagine your life without access to God’s Word? No Bible to pore through during your quiet time; no hard copy to find the right Scripture when life gets hard? For the bulk of Cuba’s 11 million people, that’s an everyday reality thanks largely to an almost 50-year-old ban on the importation of Bibles. That ban recently was lifted, but that doesn’t mean local bookstores in the economically depressed country were able to immediately stock their shelves. To this day, the only place Cubans can get a copy of God’s Word is at their local church. Demand is far outpacing supply. But you can help change that. The Billy Graham Evangelistic Association has committed to send at least 40,000 Spanish-translated Bibles to the communist country. And you can give the gift of God’s Word to the people of Cuba by donating to this special campaign. 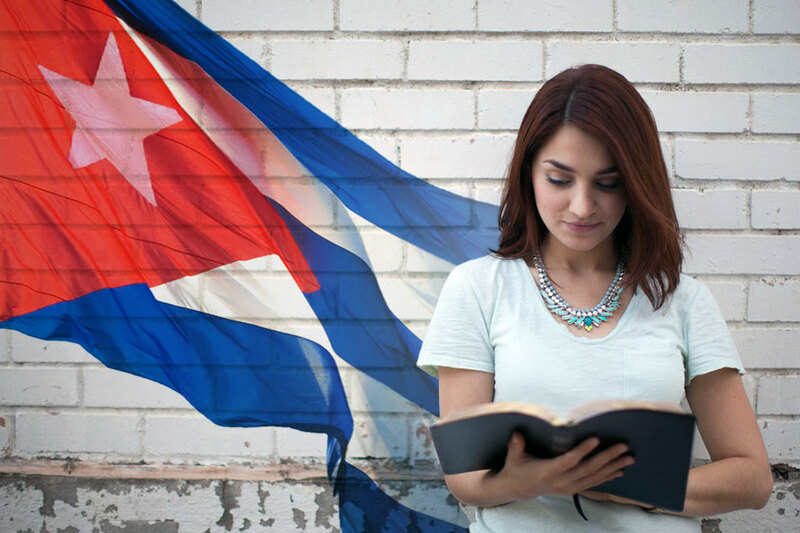 Nobody knows how long Cuba will permit the importation of Bibles. There might be a short window of opportunity to get God’s Word onto the largest island in the Caribbean, which claims a literacy rate of almost 100 percent. The Bibles you help send will serve the Cuban community in a variety of ways. For instance, permission has been granted for distribution in prisons, provided the paper meets certain criteria so it can’t be used for cigarettes. Special large-print editions also will be distributed along with other versions that include a concordance for pastors. Thousands of churches dot the island – some in official buildings, some not – but they all have one thing in common: a burning desire to build upon the faith they share. With Bibles at their fingertips, these believers will have the proper tools for deepening and ultimately sharing their faith. And having a Bible in hand—or at least within reach—can make all the difference.